Blackhill Engineering is building flood defence gates as part of the flood defence system being installed to protect a new flagship patient wing at the NYU Langone Medical Centre, one of the US’ leading university hospitals in New York City. The hospital’s new $150 million Kimmel Pavilion is being designed to meet new standards for flood protection that were introduced in the wake of Hurricane Sandy, which in 2012 forced the evacuation of patients at the Manhattan hospital overlooking the East River. Blackhill was awarded the contract by Flood Control International, also based in Devon and a world leading specialist supplier of bespoke engineered flood defence systems. The Kimmel Pavilion is the largest contract to date for Flood Control International which has supplied systems for Nairobi Airport, retail stores in Australia and East Anglian coastal towns. 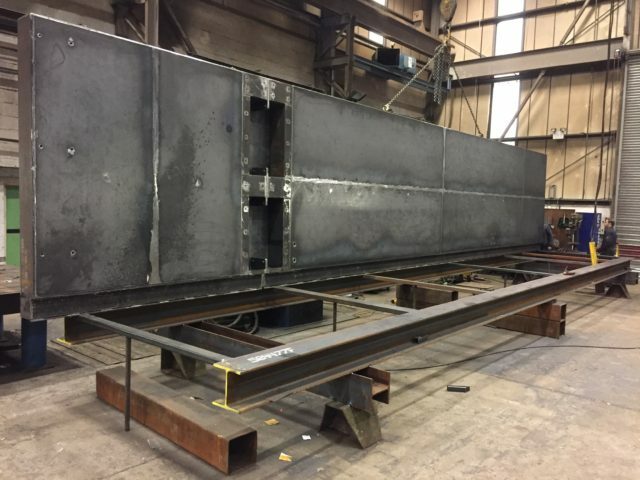 Flood Control International selected Blackhill for its capacity to manufacture four steel `flip up` flood defence gates, the largest one measuring 12m long and 2.5m high, which combined use some 10 tonnes of steel.